Unlike many of my original recipe posts, this post is more of a ‘recipe review’ because I didn’t come up with or significantly alter it. Yet, I feel qualified to review this recipe because I’ve been making it for over 20 years now. My mom has been making it even longer. 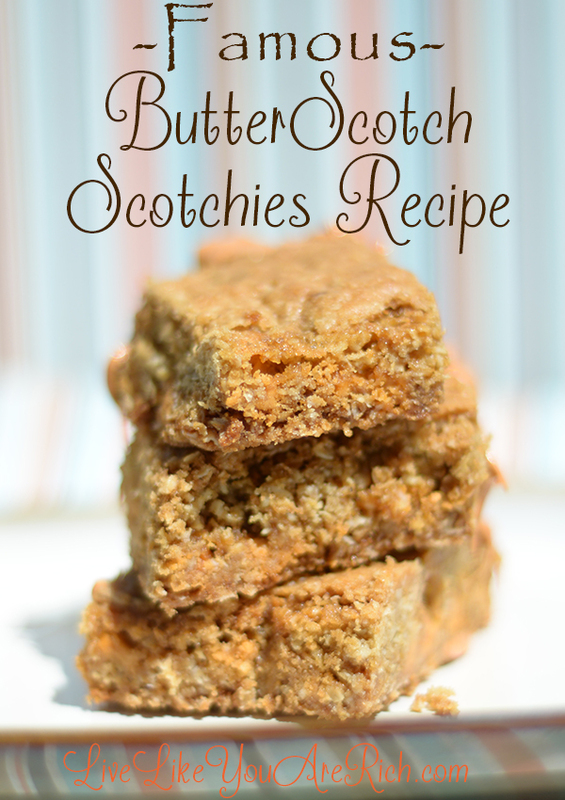 People all over the internet agree that it is possibly the BEST Butterscotch Scotchies Recipe out there. Where did it come from? No other than the back package of the NESTLÉ® TOLL HOUSE® Butterscotch Flavored Morsels package. Why is it so famous? Simply because it’s the best. What is unique about it? You can ship the bars made with this recipe internationally (as it meets US Postal and Middle East regulations) and they keep for a few weeks if stored properly. 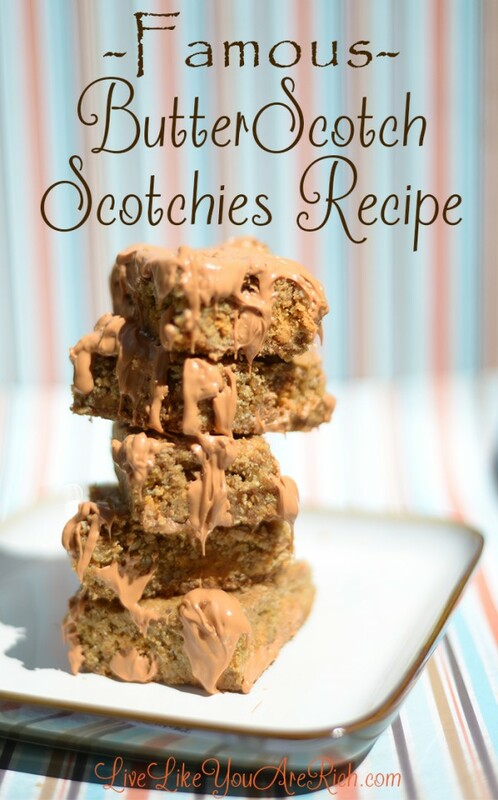 Armed forces in the middle east love to receive Butterscotch Scotchies. Do I make any changes? Yes and No. 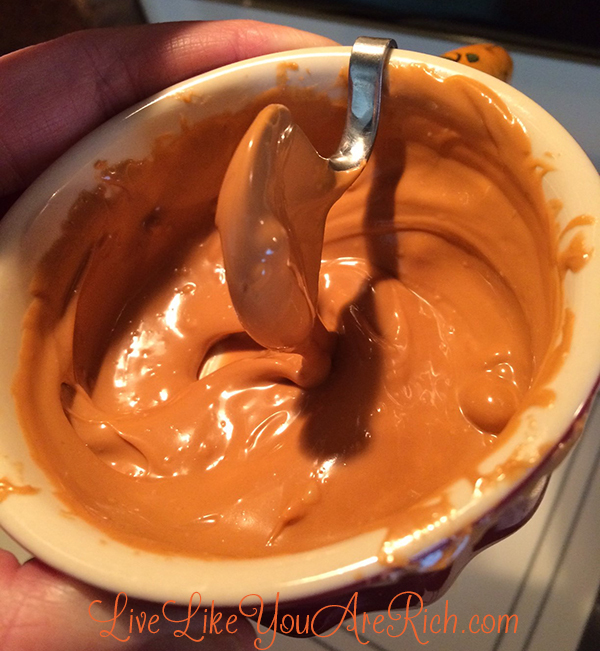 I don’t change the original recipe but sometimes I do slowly melt some butterscotch flavored morsels in the microwave and drizzle it on top. I use about 1/4-1/2 C of morsels. I microwave and stop every ten seconds to stir well. Once they are completely melted and the mixture is pretty runny, I drizzle them over the tops of the bars. This ads just a little bit of interest to an otherwise fairly simplistic looking dessert. Note-You will need more than one package of butterscotch morsels if you want to drizzle butterscotch on top. I also feel like Guittard makes a better butterscotch morsels than Nestle, so I use those ones typically. Does it still taste and look great without your modifications? Yes, using different brands of butterscotch will no significantly impact taste. And without the melted butterscotch morsels on top, it will still taste and look great. In this photo you can see what the bars look like without my modification. Why is it so good? Because they turn out tasting absolutely delicious every single time. Why is it so easy? It requires very basic ingredients, 2 bowls and one pan. It’s also very quick to make (it took me about 10 minutes to make them and 20 minutes to bake). Any tips? Make sure to not over or under cook these bars. Unlike brownies, I do not like them gooey. There is a very short time between the gooey stage and the burned stage. If you stick to the time stated on the recipe and watch them very closely they will come out well. I have a gas oven and I baked them at high altitude (no changes to the recipe) on 375 for 20 minutes and they come out perfect. I recommend starting to watch them very closely at 17 minutes. Take them out as soon as they are light brown on the top. Store them covered and in an air tight (as possible container). If they get hard 20 seconds or so in the microwave will soften them up. Can you make them as cookies? Yes, that is another awesome part of this recipe. You can just drop them onto cookies sheets 12 cookies per sheet and bake for 7 to 8 minutes instead of making them bars. I dislike when people copy and paste my recipes onto other websites (which does happen) so out of consideration I’ll just leave the ingredients so you can see if its something you are interested in making and then please click here for the recipe. 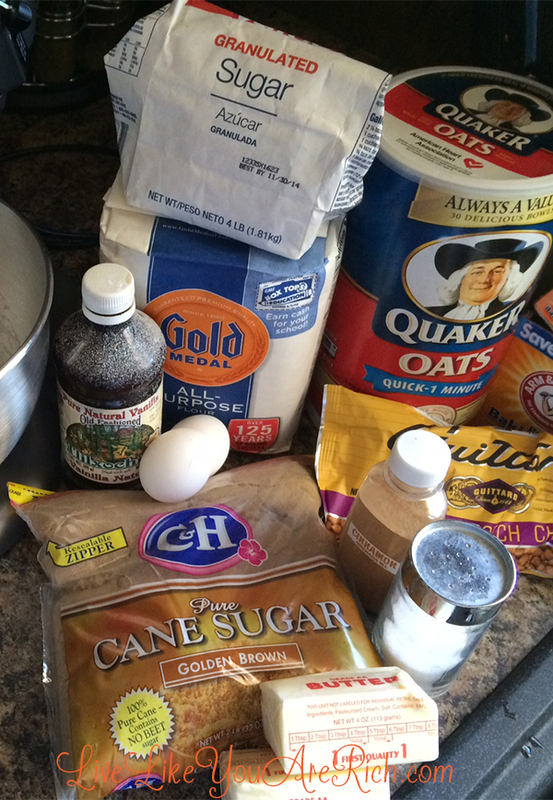 Next time you need an easy yet reliable dessert, try this recipe! This recipe is a huge favorite and has been famous since I was a little girl. Time tested and well loved by all. It makes a fantastic dessert! For other ‘rich living’ tips and gourmet recipes please subscribe, like me on Facebook, and follow me on Pinterest. I love Scotchies and these look fantastic! Oh my mom made these when we were little. Must try! Thank you Anita.